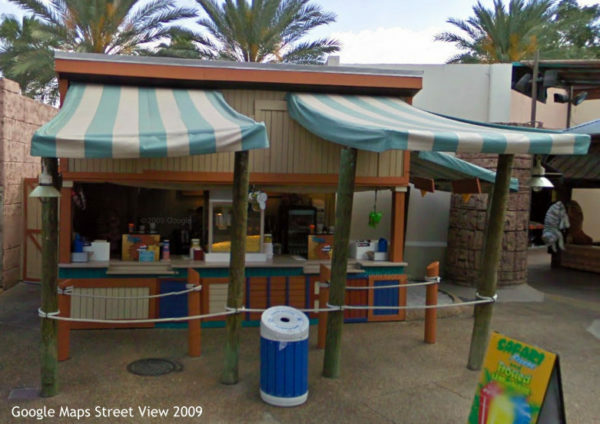 Pyramid Joe’s was a concession stand located in the Egypt section, between Sifting Sands and the games area. It served various snacks and soft drinks, including fountain soda. 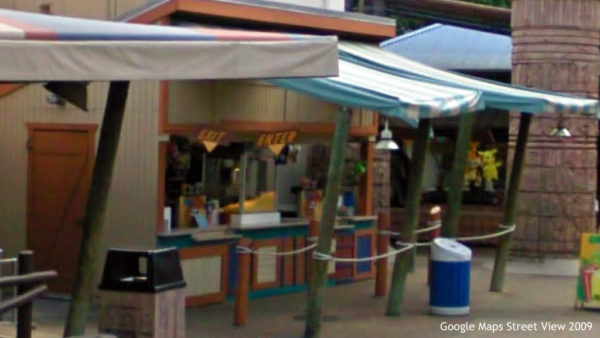 The menu in November 2014 included popcorn, safari freeze (ICEEs), Budweiser & Bud Light products, and an assortment of frozen novelties. The stand also offered coffee, hot chocolate, chips, cotton candy and other items at various times. 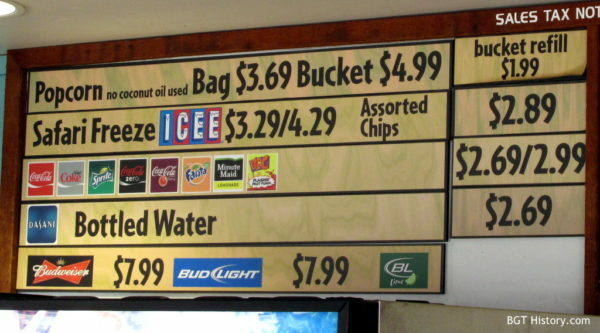 The concession stand’s last day of operation was January 3, 2016. The entire Egypt area closed the following day for several weeks as work on Cobra’s Curse continued, and construction began on the new Serpents Snacks and short term lockers for the new roller coaster. The new lockers are located approximately where Pyramid Joe’s stood.